Click On The Charts/Maps To Enlarge Them. To Be Warmer & Drier Than Normal In New Mexico! 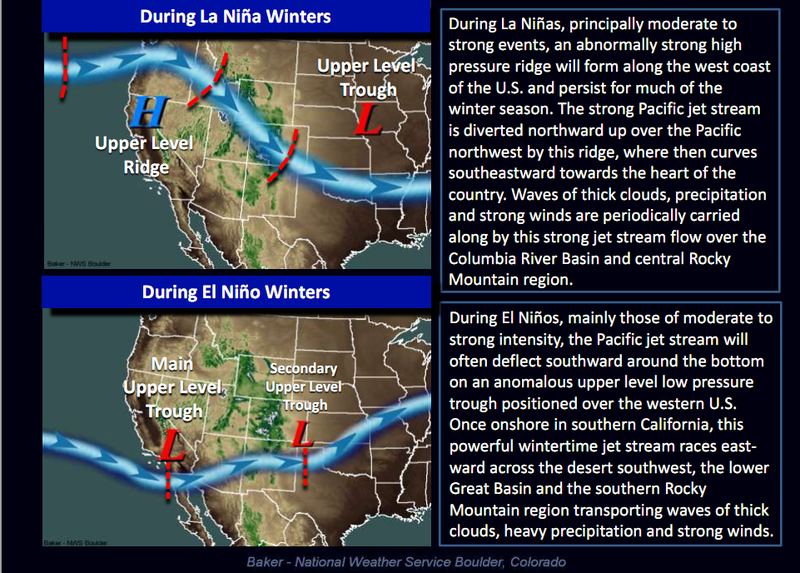 Our winter here in southeastern New Mexico will without a doubt be one than many of us will remember for a long time. 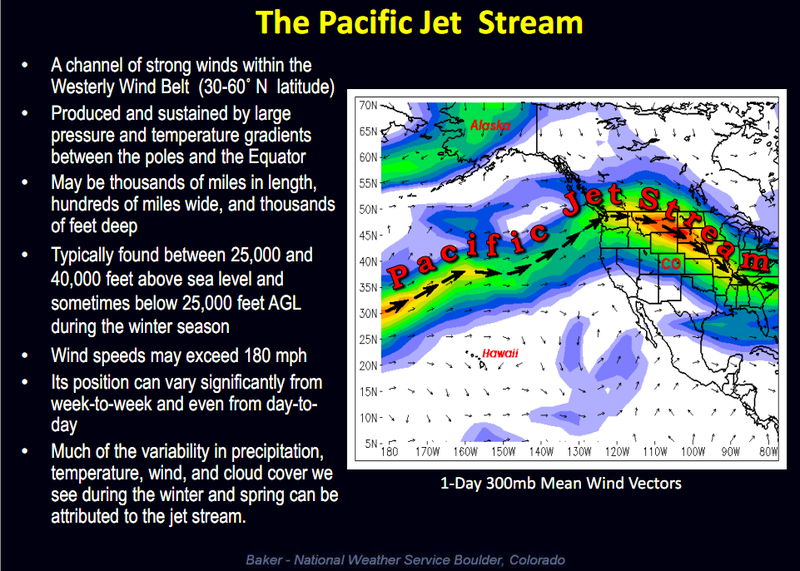 This of course would be directly related to the Christmas Eve snowstorm that blanketed the area with 8" - 14" of snow. 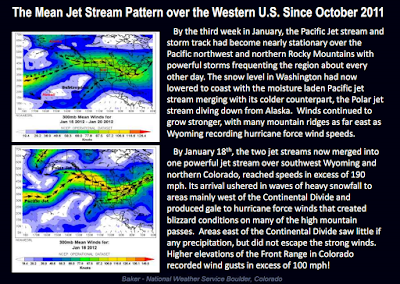 And not to be outdone was the January 8th - 9th snowstorm that clobbered the Hobbs and Nadine areas with 11" - 14" 15" of snow. 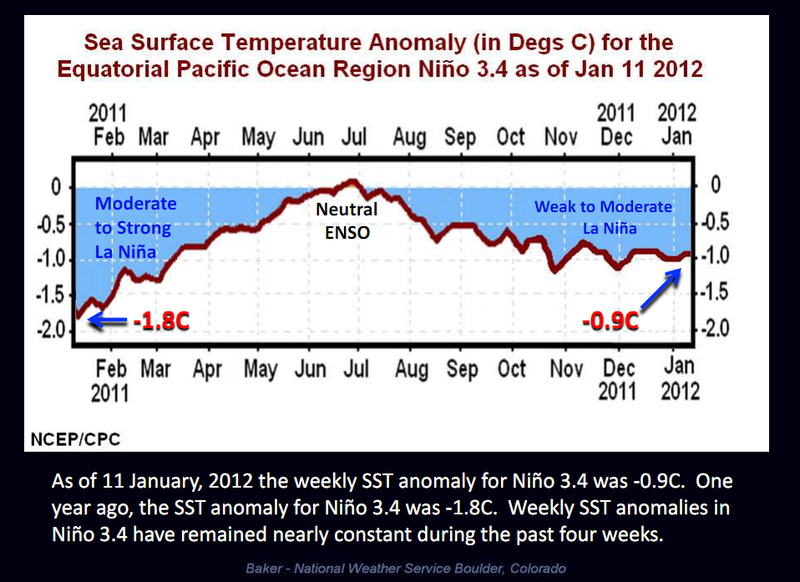 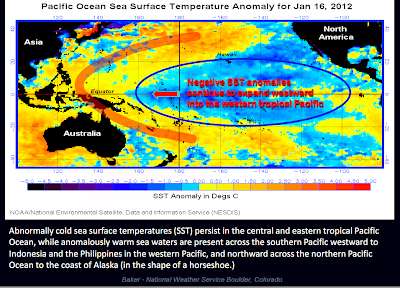 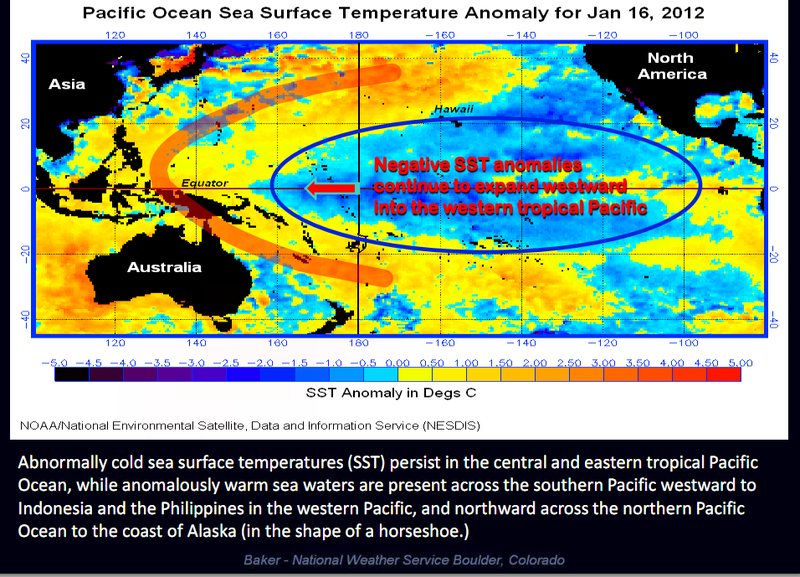 La Nina continues to hold on out over the Pacific Ocean. 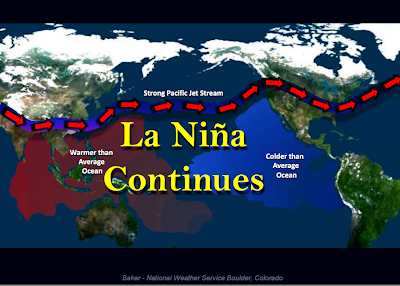 So, if La Nina winters are supposed to be warmer and drier than normal in New Mexico, so how come all of the snow here in southeastern New Mexico so far this season? 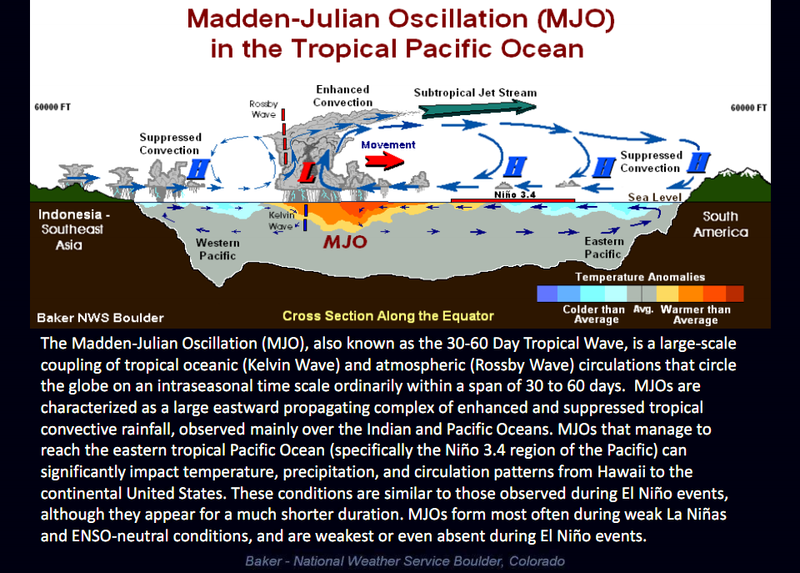 The short and easy answer is because the Madden-Julian Oscillation (MJO) got involved. 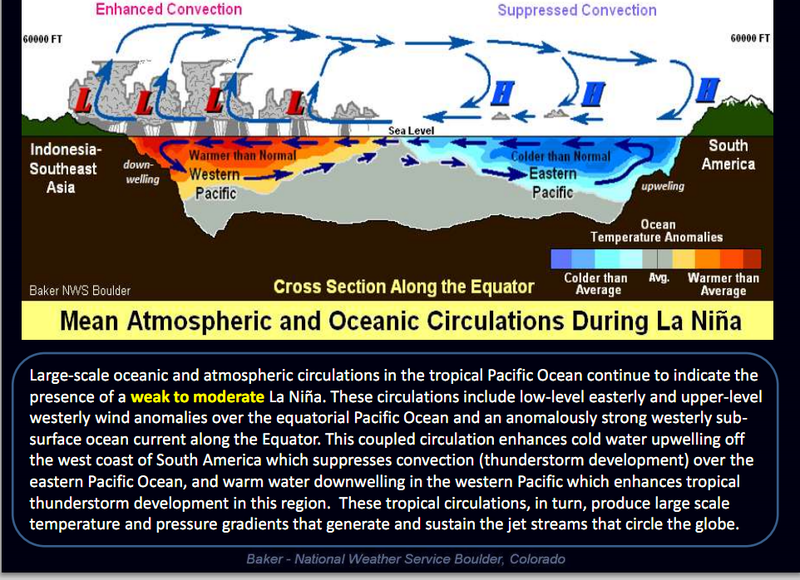 This phenomenon occurs roughly every 30 - 60 days out over the Pacific Ocean, and really is a shorter duration verison of El Nino. 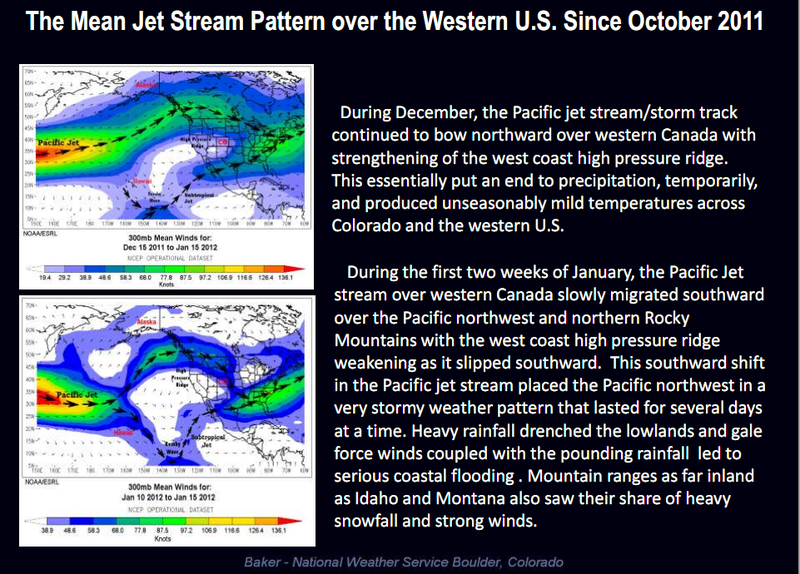 The "MJO" energized the subtropical jet stream this winter, which phased with the northern branch of the jet stream, which ended up sending six significant winter storms into New Mexico, three of which produced accumulating snowfall across SE NM. 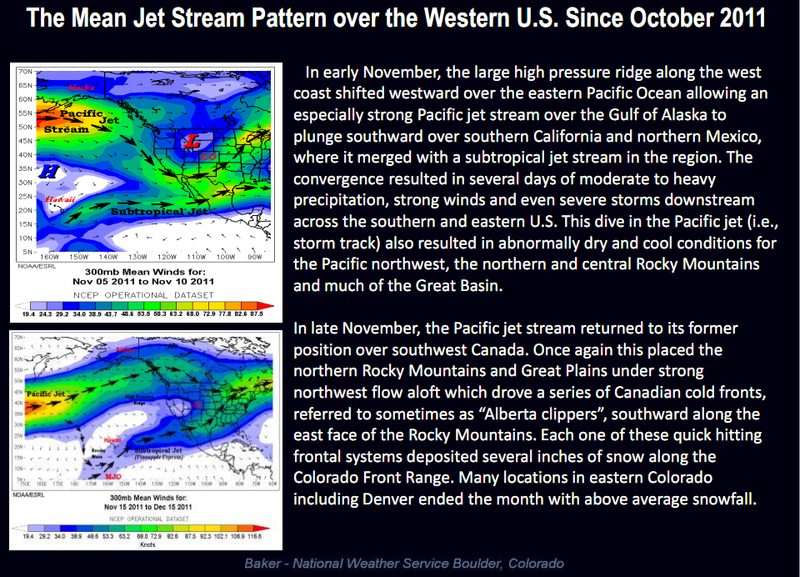 Potent upper-level storms originating in the Gulf of Alaska, dived southeastward into the Great Basin, and eventually southward to either southern Arizona, New Mexico, or northern Mexico. 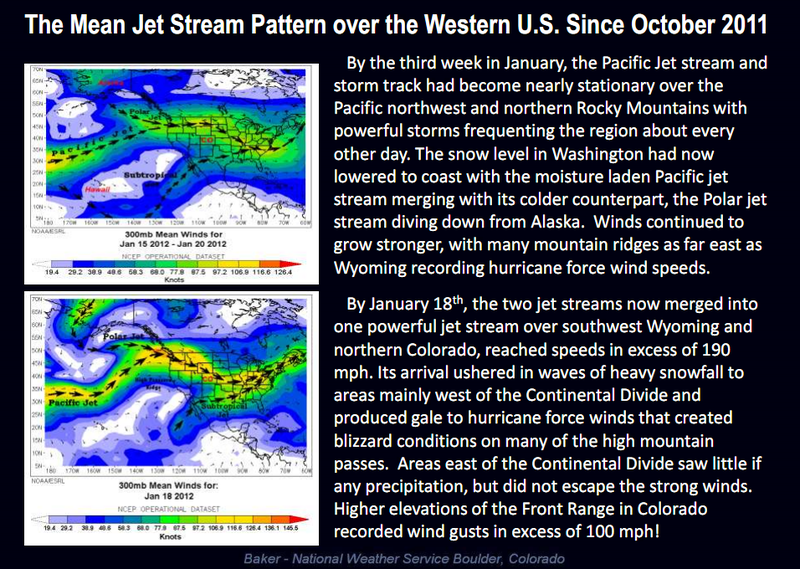 They then crawled slowly eastward just to our south, energized by moist easterly upslope flow from the Gulf of Mexico, and just enough cold air to produce some hefty snowstorms across the area. 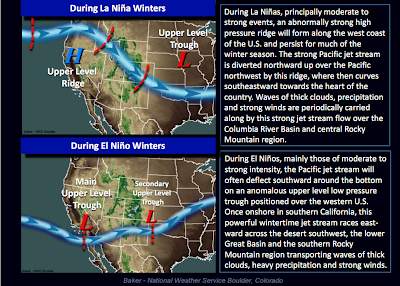 It has been nearly a perfect setup for us as far as winter storms are concerned here in southeastern New Mexico. 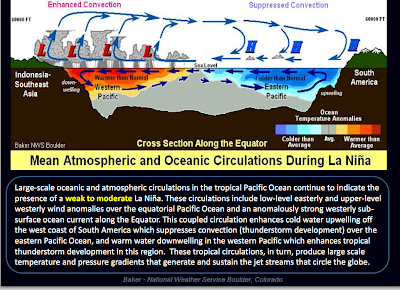 So far this season I have recorded 17.5" of snowfall here at my home in Carlsbad. 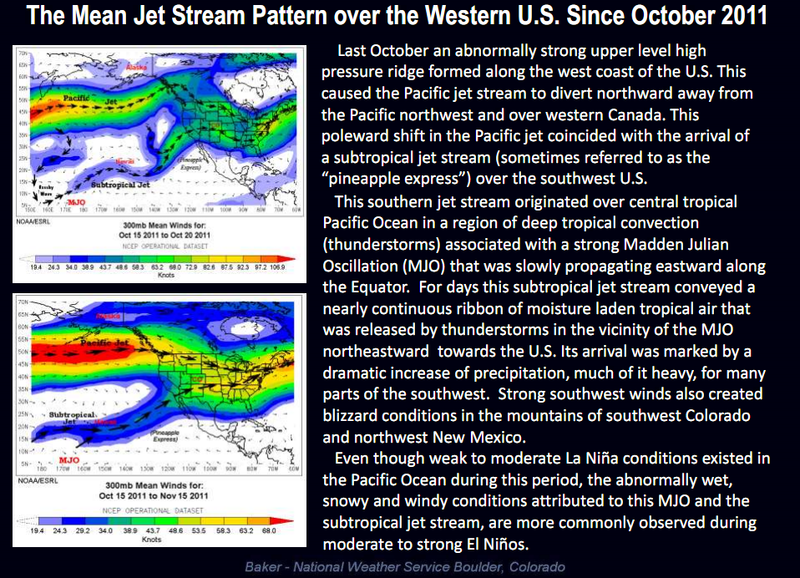 Incredible for a La Nina winter! 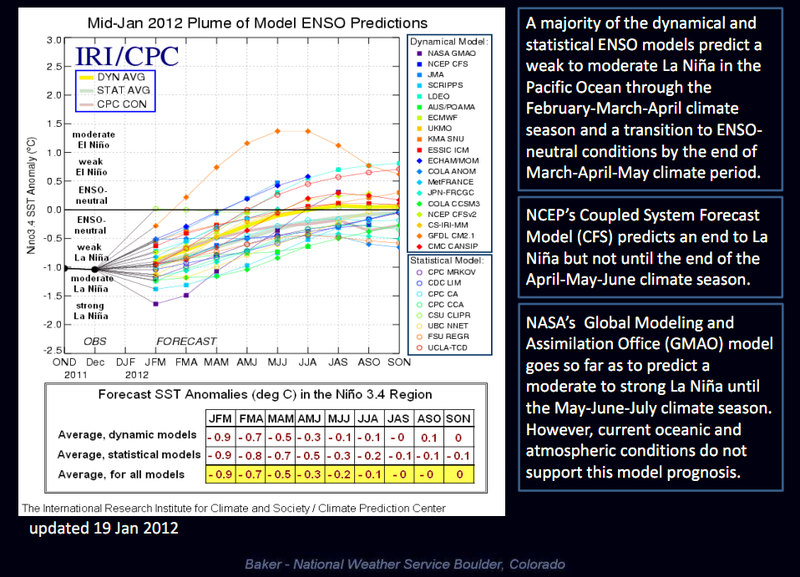 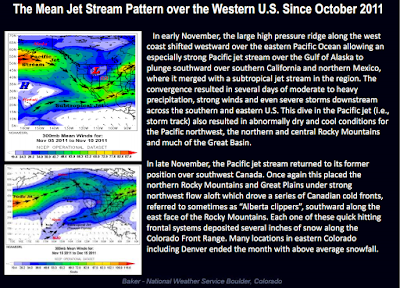 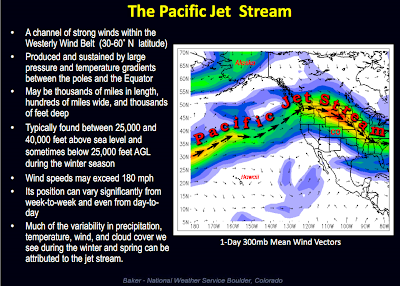 I copied the maps and charts above from off of the Denver/Boulder, Colorado National Weather Service web page. You can find the full article here. Even though the article was geared for Colorado, the principles still apply to New Mexico for this winters behavior. For more information on La Nina please visit this link. 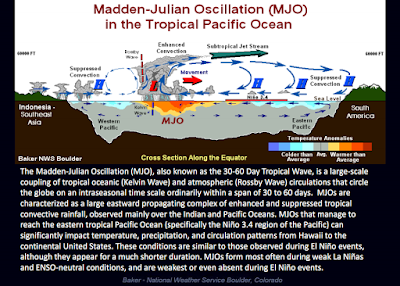 For more information about the "MJO" please visit this link.